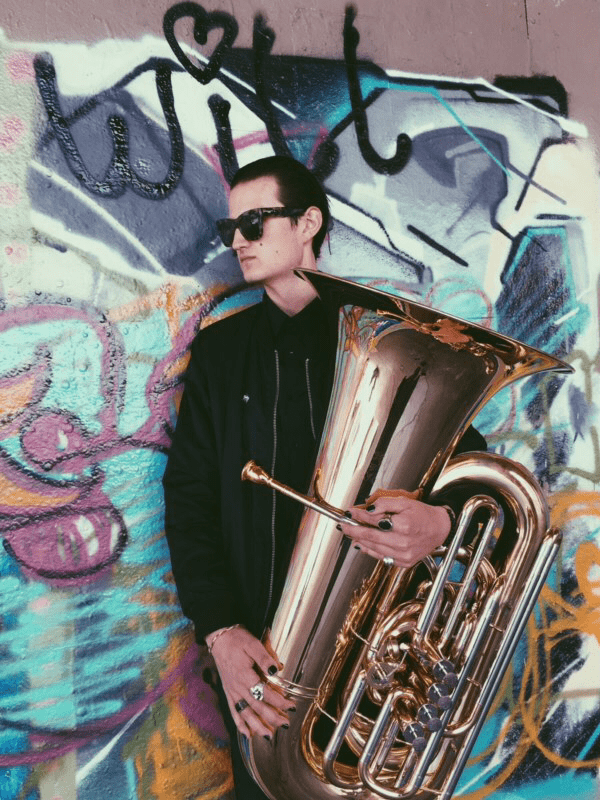 Renowned British musician Will Druiett began playing a Tuba at the age of 10, before quickly becoming a member of the National Youth Orchestra of Great Britain. Druiett’s exceptional talent was soon realised and, at just 14 years old, he was invited to join the world famous Brighouse & Rastrick Band under the direction of Prof. David King. Shortly after he turned 15, Druiett won the ITEC Young Tuba Artist Competition in Linz 2012, where he gained international attention for his achievements. Alongside this, Druiett has studied with the likes of Roger Bobo, Andreas Hofmeir, Roland Szentpali, Hans Nickel, and currently Stephan Vanaenrode in Brussels. Druiett has also appeared in recital throughout Europe, including the Vaughan Williams Tuba Concerto with the Jenaer Philharmonie in the Weimarhalle. An accomplished musician with a bright future, Druiett’s solo highlight was performing Newton’s Capriccio with the Harmonie Heer Voorhuit in Maastricht. Notably, Druiett also opened the Balkan Trafic Festival at BOZAR Brussels, with Goran Bregović & His Wedding and Funeral Orchestra. Druiett’s future plans include a recital in the La Monnaie De Munt Recital series. The handmade Wessex TC695 Chicago York is everything I could dream of in a Tuba, it has the sound I fell in love with at age 12, an absolute dream come true.